Parentheses indicate years serving (since-until). Currently serving officers or directors are in bold. People currently serving as both officer and director are in bold italic. Founder, Language Creation Society & Language Creation Conference (at UC Berkeley, 2005); co-creator of UNLWS & Gripping. New at conlanging, and working with Na’vi and Dothraki. The purpose of the LCS Advisory Committee is to provide advice to the LCS board on issues that impact or involve the greater conlanging community. It comprises interested conlangers and non-conlangers who are a part of one of the many online or face-to-face conlanging communities. Please note that this is a committee, not a community. It’s intended purely to inform the actions of the LCS board to ensure that the LCS is achieving its goal of serving the greater conlanging community. If you’d like to join the LCS Advisory Committee, send an e-mail to lcs@nullconlang.org. Anyone can serve on the LCS advisory committee, regardless of their affiliation with the LCS or any other organization. At least one (but, ideally, not more than two or three) member of the advisory committee must be an LCS board member. One of the board members on the advisory committee will act as a liaison between the advisory committee and the board. This board member will be the chairperson of the advisory committee. Though the LCS board of directors can add or remove advisory committee members, it will generally be the responsibility of the committee itself to approve new members or remove current members. It will be the responsibility of the advisory committee chairperson to set up a procedure for adding and removing committee members. The advisory committee can remove any committee member (including LCS board members) except the chairperson. The chairperson should designate a second (a vice-chairman or a secretary, at his/her discretion) who will fill in for the chairperson if s/he can’t function during a given discussion. The advisory committee liaison will be responsible for making reports from the board to the advisory committee, and will, likewise, be responsible for presenting reports from the advisory committee to the board. The board may ask the advisory committee liaison to report to the committee or for a report from the committee at its discretion, but the liaison may also provide one (to either the board or the committee) at their discretion. The LCS board is not bound by the advice provided by the advisory committee. No one on the advisory committee will be permitted to speak on behalf of or otherwise represent the LCS unless specifically designated by the board to do so. Likewise, no one on the advisory committee will be prevented from speaking about what they’re discussing in the committee publicly as an individual. 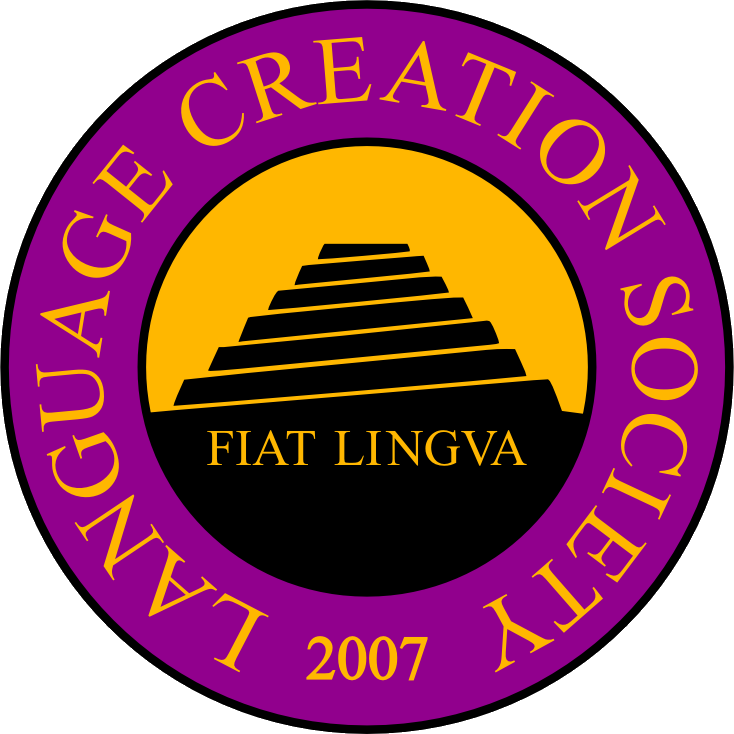 Generally, the committee should try to gain members from the various online conlang fora (understanding this term to include listservs and other forms of groups). Of those members from a given forum, one should be designated a liaison for that community. These liaisons’ intended function is to represent the fora themselves, and they should, if asked, pass on reports or solicitations for community input prepared by the committee to their respective fora. There shouldn’t be an upper limit on members from a given forum, but there should be only one community liaison per forum. It should be understood that most of the above are guidelines, not rules. If the advisory committee is being mismanaged, it will either run afoul of the board, or one or more of the various conlang communities represented. It’s in the LCS’s best interests to respect the wishes of the various communities. If a community member feels something isn’t right, they should feel free to voice their concerns, and the board can take action. That said, the role of the board liaison (and the rules regarding his/her status), the legal status of the advice of the committee, and the status of the committee members as not representing the LCS shall always hold. If you have any questions regarding the LCS advisory committee not answered above, please e-mail lcs@nullconlang.org.